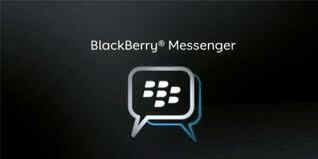 Home Mobile Can BBM Ports Save BlackBerry? Perhaps, Heins might have seen the reality but he has got a job; to promote his company and give confidence to investors. BBM is too good to be only on Blackberry devices? That statement would have been entirely true if RIM made the decision to port BBM 3-years ago. This is 2013 and I am pretty sure all the enthusiasm that accompanied the service has declined significantly. BBM was a dominant factor that swayed smartphone users to BlackBerry’s camp, the whole idea was fantastic, the platform entirely great, but BlackBerry only saw it as a way to sell more handsets. Indeed they have sold more handsets, but more and more people now think they are done with the OS, since making a better OS would be a larger task than achieving peace in the Middle East. Now that RIM realizes it has to take BBM to Android and iOS, what exciting features can they come up with to re-ignite the initial spark the service had? Already known is that the new cross-platform BBM include “channels,” a new BBM-based social network that will let businesses and celebrities create affinity groups, Heins said. Some of the initial channels include a Formula 1 car team, BlackBerry itself, and the musical artists Alicia Keys, Goo Goo Dolls etc. A good and excellent instant messenger that remained on an OS which is considered as an obsolete joke in comparison to Android and iOS would find it entirely difficult to become a global player as Heins would ultimately want. A vast majority of people are already using incredible IM’s like Whatsapp, Kik mesenger and iMessage. BlackBerry claims it has over 60 million users worldwide, even as BlackBerry sales remains on a steep decline while Viber has more than 200 million users worldwide and it already has clients for iOS, Android, and BlackBerry. If BlackBerry thinks a mere BBM port from BlackBerry to Android and iOS can redeem the company that is struggling for smartphone market share; something it dominated for 10 years, it better think again.